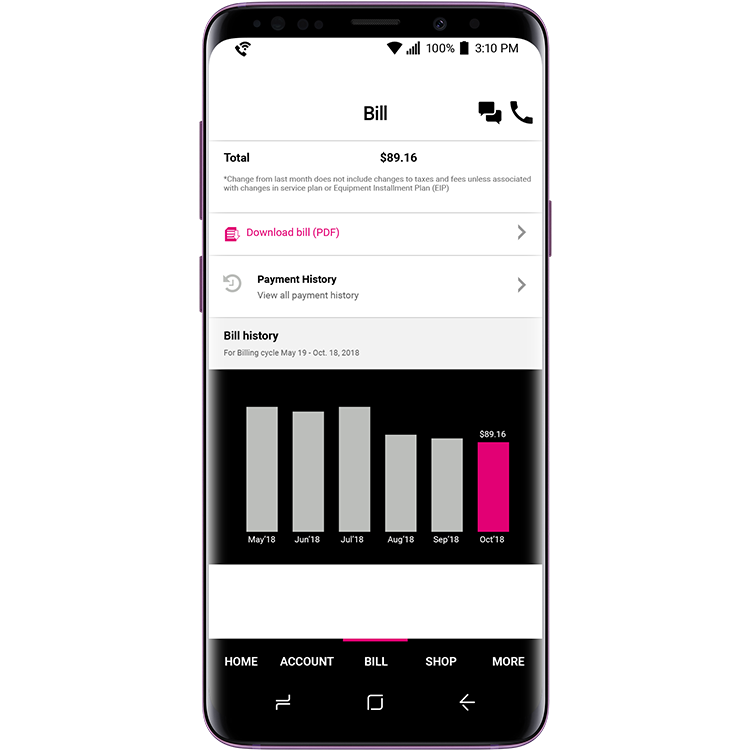 Download the T-Mobile app today. 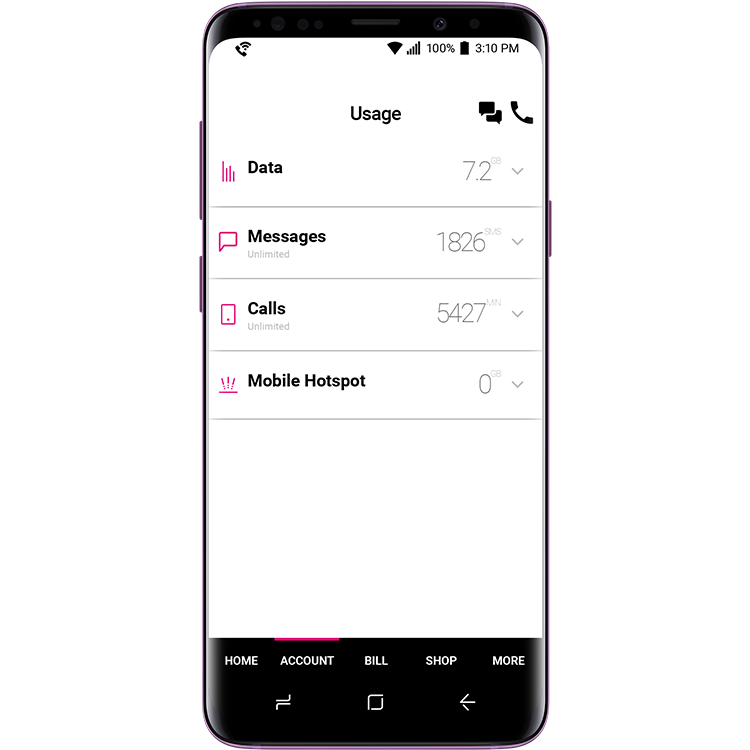 Everything T-Mobile. At your fingertips. Pay your bill in seconds. Or sign up for AutoPay and never worry about scheduling payments again. Check usage on all your lines anytime during the billing cycle. Our reps are standing by to answer your questions 24-7. Skip the password! Access the app using fingerprint or facial recognition. Update your plan, add benefits, activate blocking, and more. Find out when your order will arrive simply by opening the app. View offers and shop the latest phones when it’s convenient. Get address, contact info, and hours of your nearest retail location. 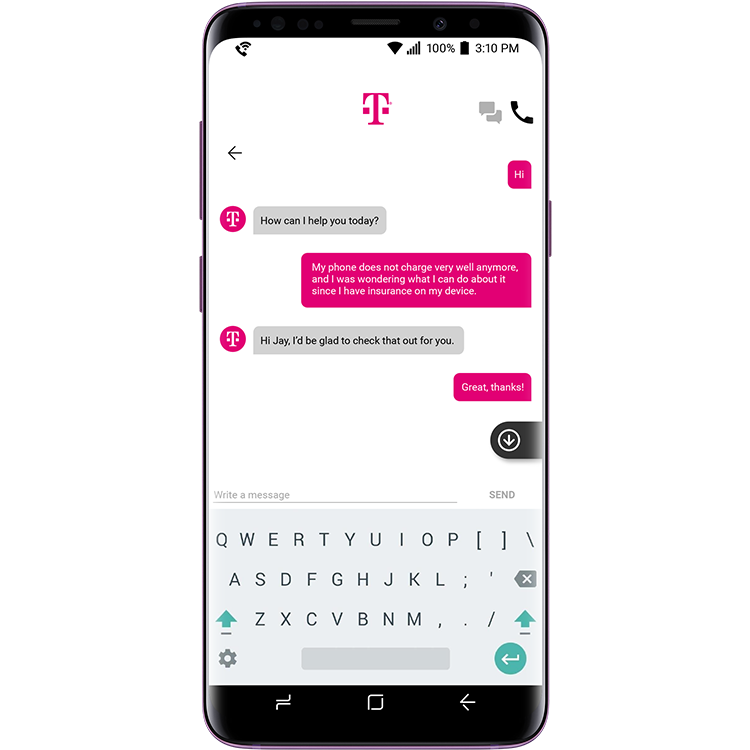 The T-Mobile app is now available in Spanish. Get it today. Already have the app? Simply update to the latest version to use it in Spanish. We can also send you a text link to download the app. Thanks! You’ll receive a text with a link to download the app soon.